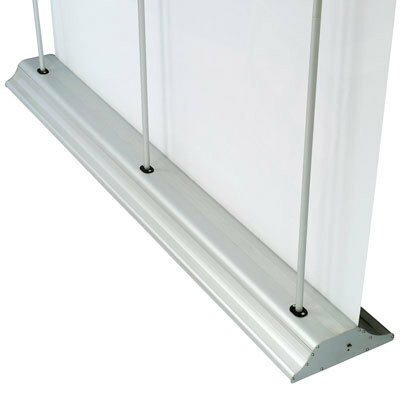 One of the biggest retractable banner stands on the market. 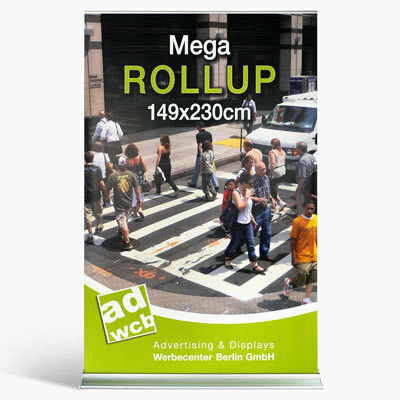 The high-quality, one-sided banner stand "Mega" is available from 99cm up to 318cm width. 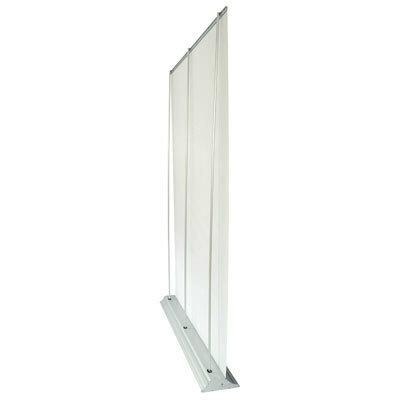 Outstanding in size and design: The retractable "Mega" banner stand has huge space fitting in a compact display system. Transport is also space-savingly possible with the included padded carrying bag. 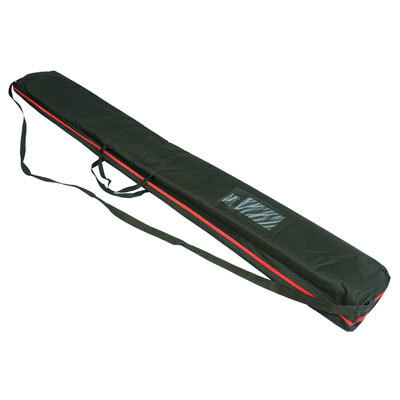 All RollUps from 149cm width up will be delievered with 3 folding rods. On each rod you can attach one spotlight (not included, available as accessory). The size 318x230cm can not be shipped, only picked up in Berlin. The set up is also possible for inexperienced users without additional tools. The rollup is delivered ready assembled. From 149cm printing width, the system will be fixed with 3 folding bars. We recommend the set up with two persons to prevent to damage the print. First insert all the bars into the stand, after that start to attach the printed banner. A neutral instruction manual is included in the RollUp and our data sheet. The rod is a folding bar and not height-adjustable. Please always store and transport your RollUp "Mega" in the carrying bag and cardboard box to prevent bumps and scratches. Set up your RollUp regularly, approximately every 3 months for a few hours. If the material is rolled too long, it will curl backwards at the sides. If it is built up some time it will be smooth again. Please avoid places with heat sources such as heaters or sunlight, because the adhesive and the cartridge could be damaged. The base is made of anodized aluminum. 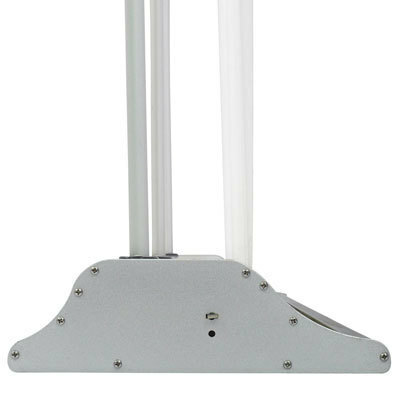 Sizes above 149cm the system will be mounted with 3 folding rods. We recommend to set-up by two persons to avoid damages.